Hi guys, first let me start off by saying how crazy these 2 last weeks have been. As you may have noticed the blog was down for several days. Godaddy was having some trouble with my hosting account and the server were running off. Luckily, after 9 days of persistence, the issue is in the past. In the process one of my posts deleted. The content below was posted previously, I apologize if you’ve already seen this. This was one of my favorite outfits and a great collaboration with Brenna—so I definitely didn’t want to loose the content! Have you guys had any issues with your blog hosting? If so, I’d love to hear please let me a comment below. Please welcome Brenna from Chic Street Style. Her and I worked together a few months back to develop a logo for her brand & blog. 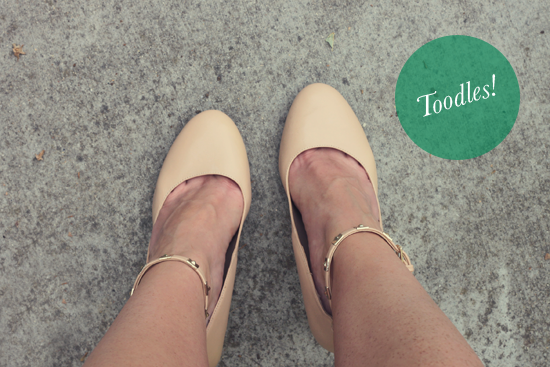 Today, we decided to team up again to give you guys two variations on how to style army green. 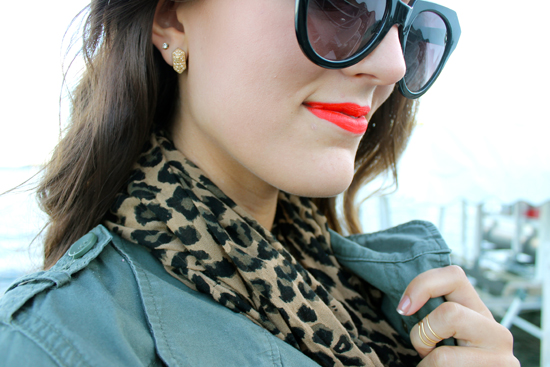 She chose an army green jacket and pulled it all together with hues of black, cream and leopard print. 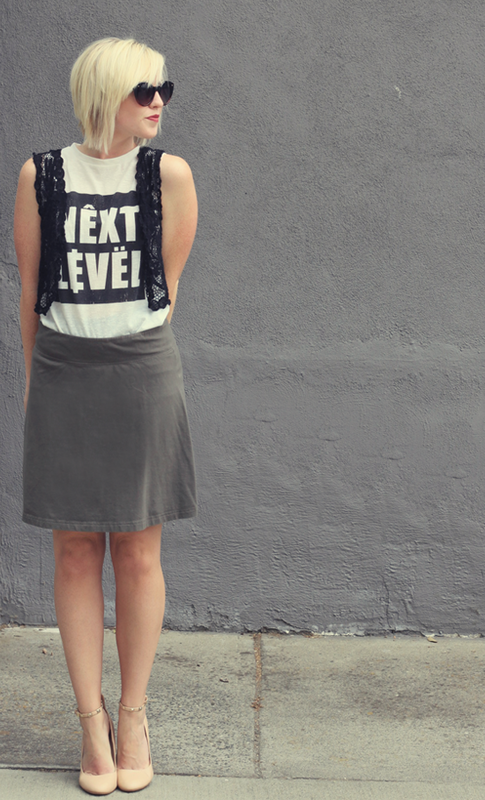 I chose a flouncy skirt and paired it with a black and white graphic tank. Army green is extremely versatile color. Some say it is “the new black.” But well I think we’re all immune to that phrase by now. In all seriousness, if army green isn’t apart of your wardrobe yet, Brenna & I would both agree it’s time to invite her in. If you’re not yet following Chic Street Style, what are you waiting for?! 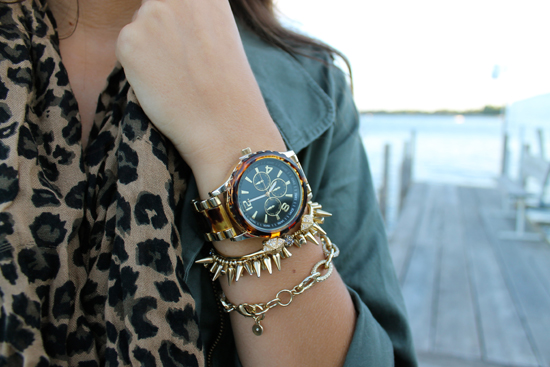 She has a plethora of outfits combo ideas and is always show casing the latest Stella & Dot jewelry.